The Netherlands Arctic Station is funded by the Netherlands Polar Programme of the Dutch government. Most of the researchers visiting the station have received research grants from the Netherlands Polar Programma, the Netherlands Organisation for Scientific Research or the European Union. Every year, Ocean Wide Expeditions is transporting our expedition equipment to Spitsbergen. This company organises tourist cruises in the polar regions. When their boats visit Ny-Ålesund, we often give lectures for the tourists. 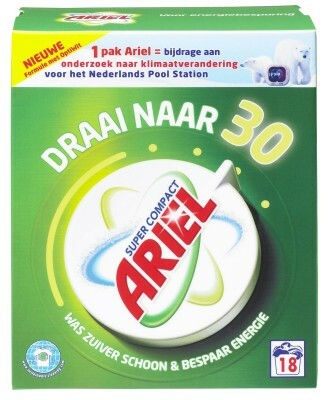 In 2008, Procter & Gamble started a partnership with the Netherlands Arctic Station to raise funds for research into climate change. 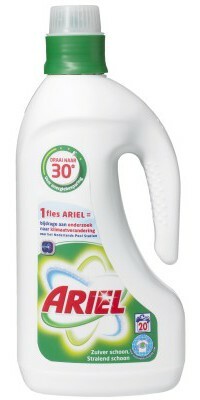 For every sold item of their washing powder ARIEL, they make a contribution to double the facility on Spitsbergen. This cooperation makes it possible for their customers to support research. Procter & Gamble is focussing on sustainability. They have developed a national campaign to reduce the washing temperature from 40 to 30 degrees Celsius and made contributions to the sustainability campaign HIER. The people from ARIEL found us via the internet. We are very grateful for the cooperation and hope for more similar opportunities. Arctic research is expensive and needs a long term investment. The Netherlands Arctic Station can be a platform for your investment into arctic research. Together we can develop a special program or research topic. We prefer research of monitoring projects but your subsidy can also be used to bring young children in contact with the arctic or to train the next generation of polar explorers. You can become a benificiary to the Willem Barentsz Stichting, which supports polar research or you can support us with your expertise or products.